Don’t get too hung up on the outcome of Bedlam 2014. The lead-up to Bedlam 2018 is a lot like the lead-up to Bedlam 2014 in many ways. That team, though expectations were unfairly inflated by pushing Florida State to the brink in the season-opener, was a train-wreck against quality conference competition (exacerbated by the season-ending injury to J.W. Walsh.) 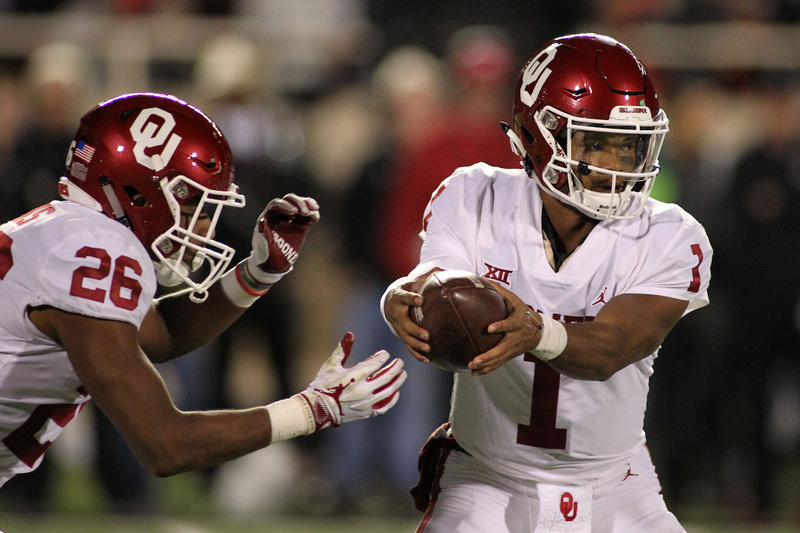 It improved to 5-1 following its 6-point loss to the Seminoles against middling Big 12 foes, then promptly nosedived into irrelevance with five-straight losses before miraculously beating OU to save its season. The 2018 version of Oklahoma State is undeniably similar: Wins over Boise State and Texas, two highly-thought of teams (that have turned out to be more meh than anticipated), unfairly overblew the quality of the wins when OSU staked claim to them. This team too, like 2014, is limping into Bedlam. A win over Texas two weeks ago appears to have been nothing more than a mirage sandwiched in between what has now amounted in three losses in OSU’s last four contests. Offensive line play has been as inconsistent and shaky as Gundy’s mullet in the wind, just like 2014. Penalties and lack of discipline have also been an uncharacteristic staple that has plagued this team like it did four years ago. That’s almost 10 points more per game for OSU in 2018 versus that dreadful 2014 campaign! A relevant caveat to plug here: OSU’s schedule has been mostly gravy to this point. Yes, it played a good defense against Texas and put up 38. But it has yet to face OU, West Virginia or TCU, three of the teams who all have top-5 defensive units in the league. So for fun, what’s a look at those same numbers flipped on defense? Those numbers may be less telling than you may have expected, but here’s the layman translation: OSU’s offense in 2018 is slightly better than it was in 2014. Offensive line play hasn’t been Oh yeah, Daxx is going down on three of the next four plays bad, which is a win. And OSU’s defense, which has yet to face the top unit in the league in OU or the second most potent in WVU, is significantly worse. Points per play allowed on Saturday is going to be so NSFW, it could inflate that somewhat deceiving number by a full point. Here’s the most relevant stat to prove this year is not a re-run of 2014. OU’s offense is ELITE. So yes, the betting line appears to be the exact eerily same as 2014, and yes, like 2014, bowl eligibility appears dire. But when you consider OSU is facing Kyler Murray, not Cody Thomas, or that OU somehow upgraded in coaches from Bob Stoops to Lincoln Riley, or that Tyreek Hill, the most lethal NFL talent in that 2014 Bedlam game, is hundreds of miles away, and the chances of Bob Stoops calling for a re-punt are slim-to-none, it’s hard to say the parallels mean much. OSU will have its fair shot at pulling off another historic upset, and if history tells us anything, it’s that this game has the potential to be closer than expected. But while this OSU team is slightly more competent than the one that escaped with an OT win in ’14, this OU team is twice the monster it was in that lackluster campaign that allowed for a perfect storm in Norman four years ago.